Thank you for being a member of Fix My Hog. I’m sure you want to jump right in and get to wrenching on your Harley-Davidson. I put this walk-through together so you can get a feel for how we laid out the site and some tips for you to get the most out of your membership. 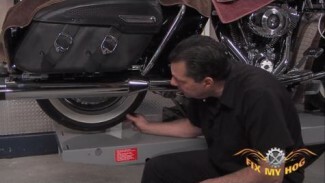 This is a walk-through for basic maintenance on your Harley-Davidson Touring / Trike models and the videos we have produced over the years to help you do it. Your service manual will have any differences in specs for the Twin Cam 88,96,103,110 and Evo. We have the Harley Milwaukee-Eight videos in a separate category here. Make sure you are logged into your account so you can follow along and see the videos I reference in their entirety. You should be able to have two browser tabs open – maybe play this video in one and click through to videos I talk about in the other. We will have similar walk-through videos for each video category. What about the new Milwaukee 8’s? I don’t see any repair/maintenance videos for these. I assume it would be similar to the 103, but are you planning on putting out any specific to the M8? Thanks. 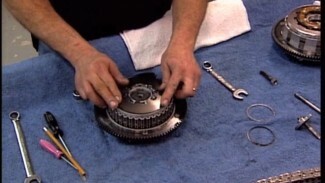 Hi Bill, This is a walk-through for basic maintenance on your Harley-Davidson Touring / Trike models and the videos we have produced over the years to help you do it. Your service manual will have any differences in specs for the Twin Cam 88,96,103,110 and Evo. We will have the Milwaukee-Eight videos up soon as well. Working on them. I liked the “Touring Maintenance Walk-Through”. I own a 1997 ElectroGlide Classic. Because of my age this is the last bike I plan on purchasing. 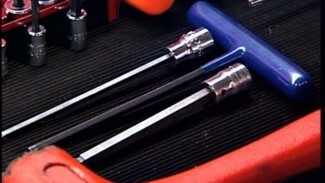 I am interested in doing as many simple mechanical maintenance functions as I can. I was going to purchase fixingmyhog but did not like the payment method. I want to pay by check not an account withdrawal. Hi James, YOu can give our customer service department call at 855-231-0653 for more options. Hi Charlie, I’m sorry to hear you are having issues viewing this video. I have tested this video successfully. Please make sure you are signed into your Premium membership whenever you are attempting to watch our videos. If you are still having issues please call our customer service team at 1-855-706-3536 and we can troubleshoot with you over the phone. We have mentioned this many, many times. Your tires are one of the most important parts of your Harley-Davidson and one that gets overlooked the most. Bob takes a few minutes to review what to look for when reading a tire.